As I mentioned earlier this winter we had our handshake lease extended here on the homestead where we are staying. 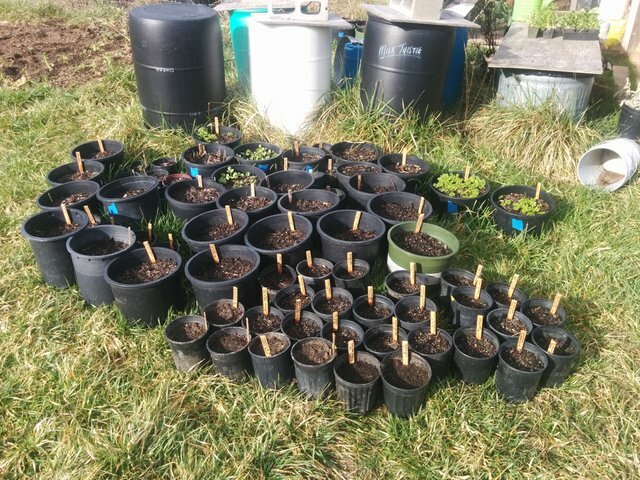 After immediately getting the garlic in the ground I have shifted focus to stratifying more perennial seeds, with a focus on more nut trees, but also fruits and medicinal trees as well. 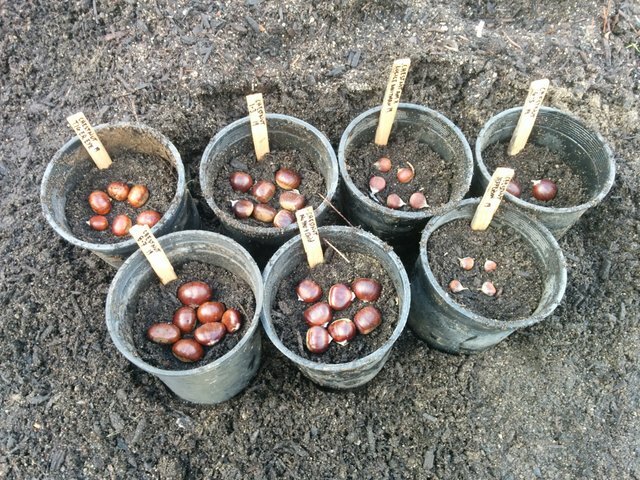 Here are some different varieties of chestnuts that my friends generously shared with me, sourced from different seed swaps. This winter's assortment of stratifying seeds in our makeshift nursery is growing quickly! I am extremely excited to see what sprouts this year, as well as what will sprout from last year's nursery that didn't sprout yet. 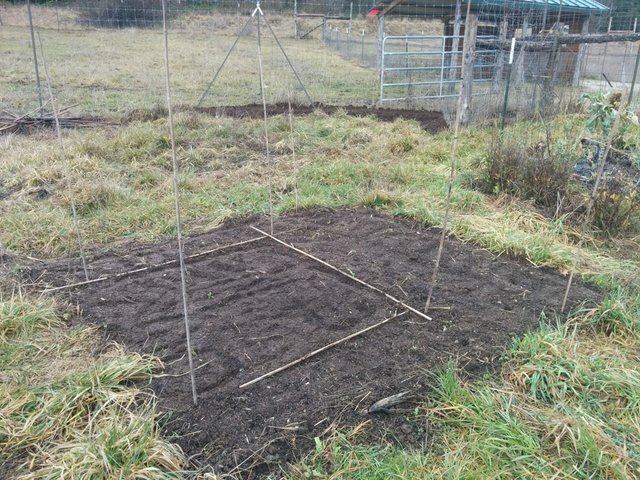 Before the snow hit I did also get a chance to move some horse manure around to compost piles, prep some beds that were not too soggy and get a head start on planting one bed so far with fava beans, spinach, wild salsify, carrots and cilantro. When it is time, they will be ready! With the snow, I am back to focusing inward again. It was nice to get a few weeks' garden sprint while it lasted! I am feeling ahead of schedule with the garden this year, rather than playing catch up like last year.. it feels nice. But greenhouse prop work will be coming up soon to get an early start on the nightshades! There are times when I am jealous of people with winter weather that forces you to stay out of the garden - but that only lasts a little while. I grew up in a climate where I could garden year round (Southern California) where it seems we had a perpetual summer. I was actually quite fond of being able to grow food year round, but I also appreciate the "mild" winters we have here. I personally seem to be somewhat adaptable to different climates - there is lots to love about each one! Grab some from the middle of the pile - Does it smell good or bad? Woohoo! I just seeded a flat of lettuce. I am starting to think about onions, tomatoes and peppers also. great work and i am sure very enjoyable too. So glad you got on top of all this before the snow, I hope it doesnt get to cold. why dandelions? we class them as weeds? what do you use them for? I'm glad you asked @paulag beause Dandelion is one of my favorite plants :) As a food, tonic and medicine she is so nutritive. I love that dandelions are often so abundant around us, almost as if they want to share their beauty and food with us. Dandelions are great because they are perennials, meaning they come back year after year! 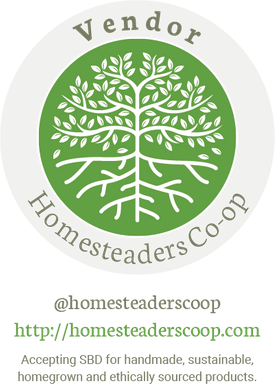 One of my hobbies is to incorporate more wild food and medicine in our diet. 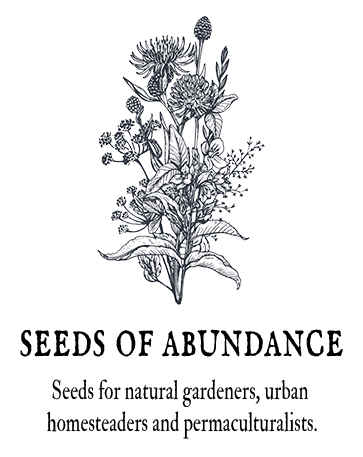 My partner Idyllwild is passionate about incorporating wild beauty into our garden and personal our spaces. It is a response to our culture's hyper-domestication and a personal exploration of appreciating nature's abundance and letting go of some of the control that we were taught to have over our garden space. LOL yeah you caught me there, you definitely found a passion :) Yes I eat and drink all parts of the dandelions, roots, leaves, flowers!